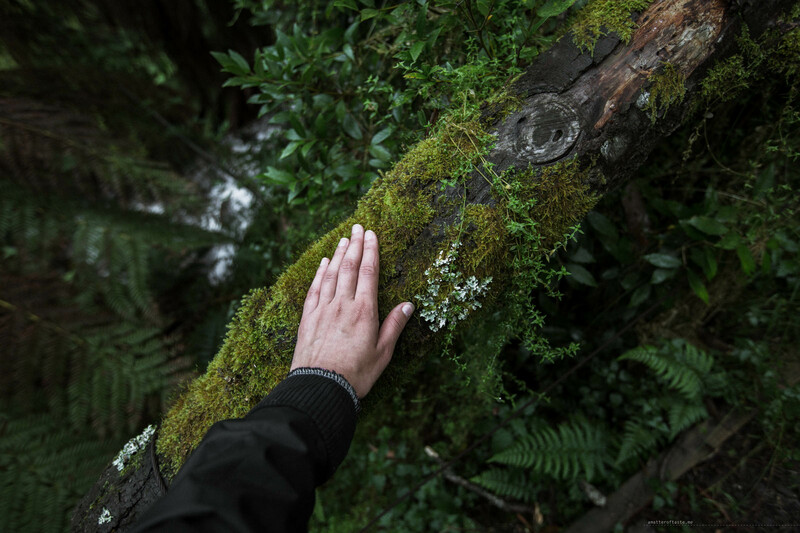 Did you know you can find Victoria’s biggest tree just 1 hour away from Melbourne? It’s in the Yarra Ranges, as a part of Cumberland Walk. 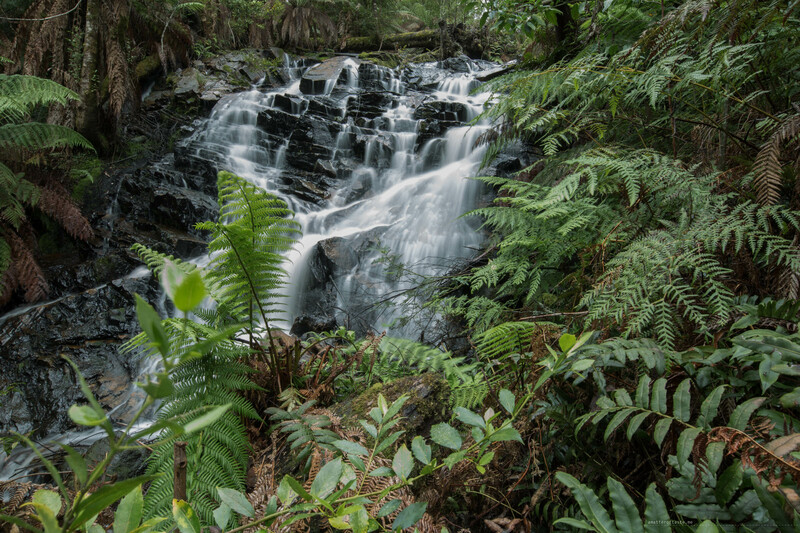 It takes you not only to the tallest tree but also to some lovely waterfalls. There is also one of the most spectacular drives – the Black Spur Drive on the way to the Cumberland Walk, making the area a true “wonder of nature”. 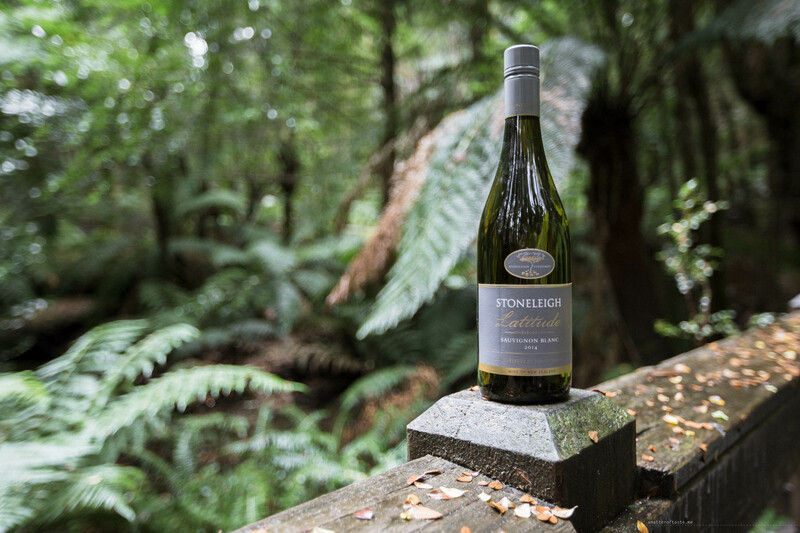 This is our last post in the “Wonder of Nature” series and it has been amazing to experience some of Victoria’s most scenic regions and create a set of recipes inspired not only by the natural landscape, but beautiful wines from Stoneleigh. Stoneleigh see their wines as a “wonder of nature” (remember the story about stones I told you about?). We were inspired by their story to get out and about, and not only see, but really SEE the little wonders of nature around us. Now we will finish our “Wonder of Nature” series with one last hike followed by a gourmet meal and a wine in hand – the same wine that inspired us. The Black Spur drive is a road between the towns of Healesville and Narbethong. 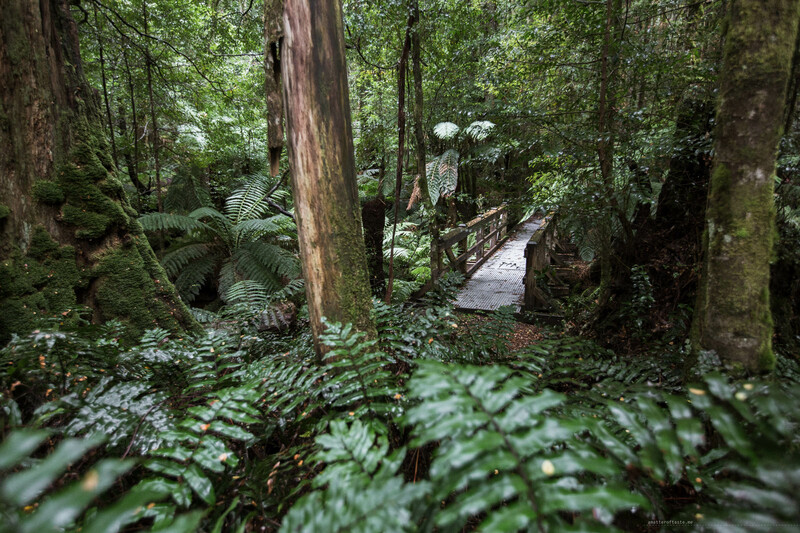 It’s about 30 km long, winding through a rainforest – tall trees, rays of light coming through them, lush green ferns and contrasting black road. It’s beautiful and captivating no matter what time of day you drive it. 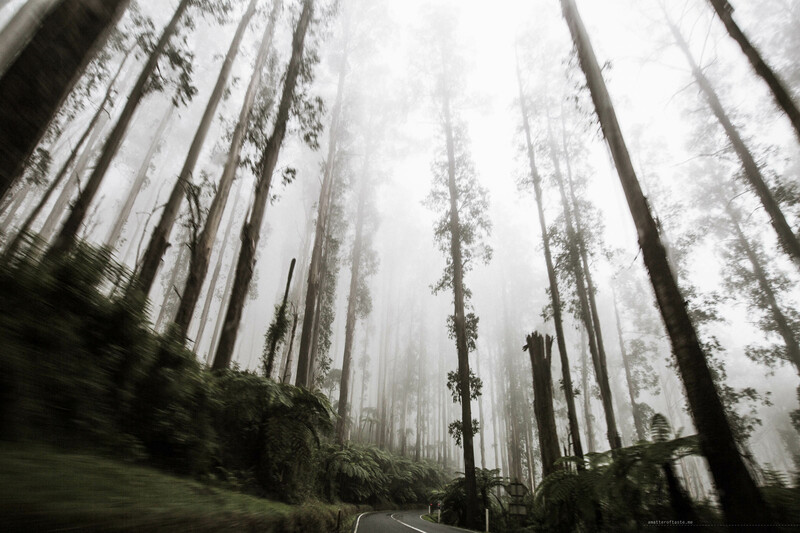 It can be fairytale-like in the early morning sun, or foggy and mystical – like on the day we went to the Yarra Ranges. And the fog didn’t stop there. It was eerie and quiet all the way to the Cumberland Walk parking. When we got out of the car, there was no wind, no rain, no sound. It was wet and the clouds were low – clearly no one else but us felt like it was a good day for a hike. You can start the Cumberland Walk from various spots – it is a circle, so no matter where you start, you will see The Big Tree and both waterfalls, maybe just in a different order than we did. We wanted to start at the main car park (Cambarville picnic area car park – bigger parking, toilets and bbqs) but it wasn’t well marked and we ended up on a different, small parking on a side of the road. After 1km of easy, flat terrain walk through a tall forest, we reached The Big Tree. It stands 87.84 meters high (as of 26/10/2011) and has been towering above the forest floor for some 400 years. 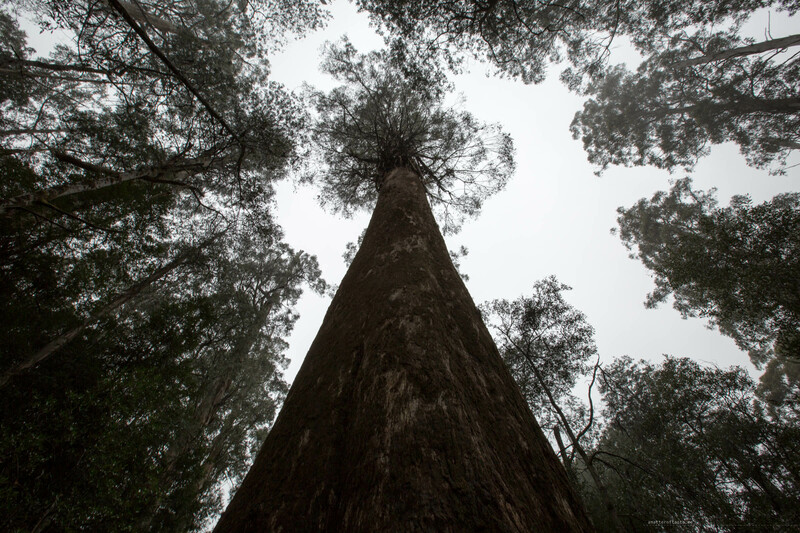 For decades, at 92 meters, it was regarded as the tallest tree in Australia. During a severe windstorm in 1959 the top was snapped off, reducing the height. Then the walk took us to the car park that we wanted to start at in the first place. There is also a sign with a map of the trail if you need help to determine which way you have to go to continue the circle. After crossing the main road the track became muddier and steep at times. And we could clearly hear the waterfalls – it was a good sign, there was enough rain to keep them going strong. There are two waterfalls to be seen on the Cumberland Walk – the Cumberland Falls, which you can see from afar and Cora Lynn Falls. The latter are smaller and you get up-close views from a platform (be careful though, the wooden steps there are slippery when wet). The sky was creamy-white all day and the trees and ferns looked more green than ever. I feel like the dish we were cooking perfectly reflected the “wonder of nature” we had found in the Yarra Ranges – white, creamy rice, green peas & mint. Our last Stoneleigh wine and recipe match was made even more special as we reflected on the series of trips we had taken through the Victorian countryside. 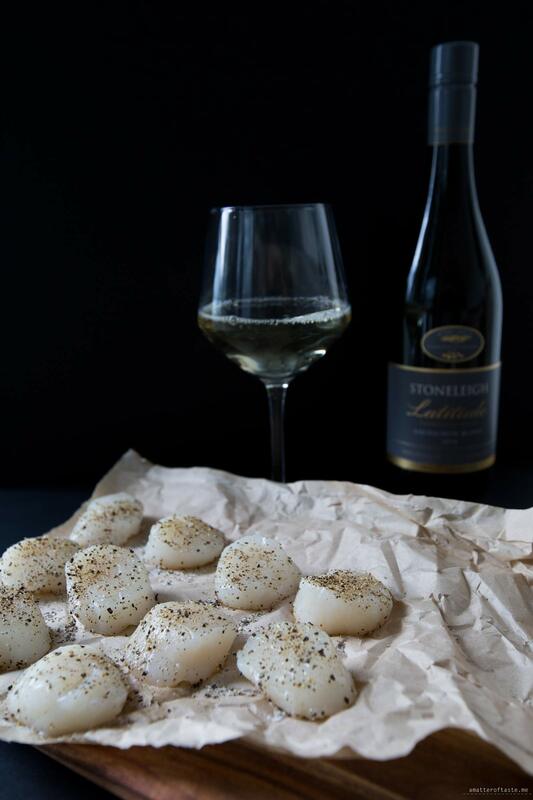 The Stoneleigh wine match for the seared scallops on pea & mint risotto with crispy prosciutto was Stoneleigh Latitude 2013 Sauvignon Blanc (we also added some to the dish itself for extra flavour). Citrusy with currant leaf aromas, it complimented the beautiful surrounds and natural bush lands we had explored while on our hike. This wine has a natural weight and concentration that lingers on the palate then finishes with a lasting minerality. Chilled, it complemented the seafood risotto very well. Heat the olive oil in a frying pan on medium heat. Add the onion and cook until softened (but not browned), about 5-8 minutes. Add garlic and cook for further 2 minutes. Add the rice to the pan and stir continuously. Pour in the wine. Keep stirring, until it has almost evaporated. Turn the heat to low. Add the boiling stock, ¼ cup at a time. Stir and wait until fully absorbed before adding more. Add peas, mint and lemon zest, keep stirring. After 5 minutes, turn off the heat and mix in the butter and season with salt and pepper (be careful with the salt, the stock made it already salty). In the meantime, lightly season the scallops with salt and pepper and sear then on both sides on a grill pan with a little of olive oil or butter, about 2 minutes on each side. When you’re done with scallops, grill the prosciutto on the same pan. About 3 minutes on each side until crispy. Let it cool on a plate and then crumble it using your hands. 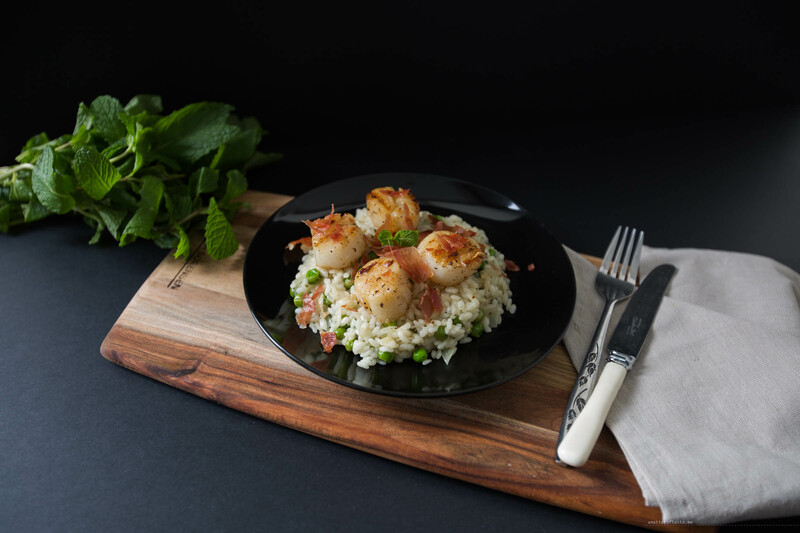 Divide the risotto into 2 plates, place the seared scallops on top, sprinkle with crumbled prosciutto and garnish with mint leaves. What a gorgeous looking dish. I am a big fan of scallops!